Veeco Instruments announced that Aledia, a developer and manufacturer of next-generation 3D LEDs for display applications, has expanded its portfolio of Veeco thin film process equipment to support the development and production of advanced 3D Micro LEDs. 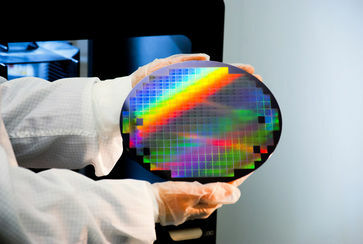 Aledia cited Veeco’s proven leadership in compound semiconductor applications, GaN-on-silicon growth performance, and capability to grow a full range of high-quality epitaxial films as key factors influencing its decision. The collaboration between Aledia and Veeco reflects the immense promise of Micro LEDs and other advanced LEDs for the future of displays. Micro LEDs offer high efficiency, brightness and reliability benefits with shorter response time, enabling lighter, thinner and flexible displays with energy saving advantages for applications such as wearables, smartphones, automotive, signage/large TVs, augmented reality/virtual reality and more. According to LEDinside’s LED Industry Demand and Supply Data Base-1Q19, it is forecasted that Micro LED market value will increase to US$ 4,176 million in 2023.